Jordan Kruger is a recent graduate from the Pennsylvania State University where she studied Labor and Employment Relations. She currently works as a Technical Recruiter for Apex Systems and is excited to get back into swim coaching. 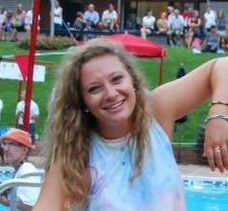 She was a Swim Coach at Donaldson Run for 5 years as well as one of the head lesson instructors at the pool for 6 years. She swam for DR from 6-18 years-old and swam for Washington-Lee High school where she was the Captain of the team her senior year. Jordan has extensive experience, knowledge, and a love for helping kids develop their skills in the pool all while having a great time. She is excited for a winter full of hard practices, growth, and good laughs!